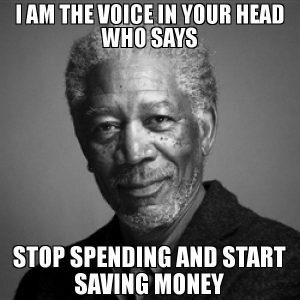 Having trouble saving money? You’re supposed to! The unemployment rate is low… so that must mean people are earning money and saving money, right? Wrong. One in three Americas has less than $5,000 saved for retirement, and the average person is saving less than 3% of disposable personal income! You’re workin’ hard… and you have no problem earning money, no problem spending money, but a serious problem saving money. But don’t worry – it’s not your fault. When given equal opportunities to earn or save, our brains do not prioritize saving. We all have an anti-saving bias that keeps us from saving money. But you’re not a lost cause… because you can learn to change your mindset and start saving! Rather than imagining your future self-saving money, think about how saving money today will benefit your tomorrow. It’s not easy – but it is so worth it. Elon Musk will pay Tesla’s fine out-of-pocket! Elon Musk is a standup guy… because he plans to right his wrongs by purchasing $20 million of Tesla stock with his own money to cover the penalty for his tweets. The CEO agreed to pay $20 million to settle a federal lawsuit stemming from tweets about taking the company private. As part of the agreement, Musk also must vacate his potion as chairman of the company. This is unusual… but really, that is what we have come to expect from Elon Musk. It is rare for an executive to buy shares of their own company with their own money, to say the least. Musk will purchase the shares directly from Tesla (rather than the open market) so that the money will go to the company. The company hasn’t said… that Musk is paying the fine with his purchase – but we’ll say it – he is paying the fine with his own money. The investment is relatively small, increasing Musk’s stake by 0.2% – but hey, it’s a nice gesture. Sears CEO Eddie Lampert the next Warren Buffett?? Once a financial genius… Sears CEO Eddie Lampert purchased Sears back in 2005 through a merger with Kmart. However, not many people would use the term ‘financial genius’ for Lampert anymore – except maybe Lampert himself. The man once hailed as the “next Warren Buffett” has run Sears straight into the poor house. Lampert made basically nothing… for being the CEO of Sears. The Sears CEO took a salary of $1 per year and received the rest of his compensation in entirely worthless company stock. Lampert’s hedge fund also made huge loans to the company, and believe it or not, Sears owes Lampert at least $1.3 billion. And he didn’t make friends… because Lampert played the ‘absentee CEO’ roll to a T by running the company from South Florida. However, now, Lampert may be able to purchase the Kenmore brand through Sears bankruptcy auction (something he has always wanted). And he’s not done yet – Lampert could still sell Kenmore appliances, rent stores to other retailers (that are still in business) or develop the company’s real estate for alternative use. The Uber of the Middle East… is called Careem and the company just got a big financial boost. Saudi Prince Alwaleed Bin Talal just invested $200 million in the Dubai-based rideshare company. And now, Careem is currently valued at over $2 billion, up from $886 million in 2017. The timing is odd… because Saudi Arabia’s network of business and global tech investments has come under scrutiny after the disappearance of journalist Jamal Khashoggi. Khashoggi was last seen at the Saudi consulate in Istanbul, and Turkish officials believe he was murdered inside the consulate. Murder mystery aside… Careem operates in over 120 cities in the Middle East, North Africa, Turkey, and Pakistan. The company is viewed as a “new and promising” technology in the Middle East, and investors continue to pile money into the company for that reason. Will we be calling for a ‘Careem’ soon? ?